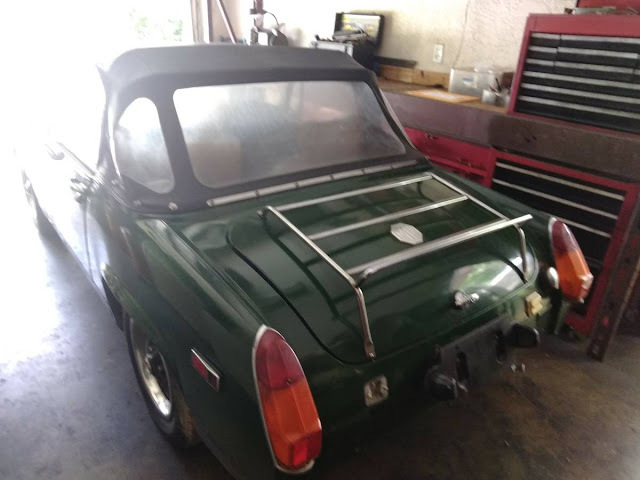 The MG Midget is a peppy little chihuahua of a car, with more zip, zap, and yip than you would ever expect from a classic British sports car. Pound for pound it'll put more smiles on the faces of random strangers than a puppy-money-baby and good luck getting your puppy-money-baby to give you a ride to work. Find this 1967 MG Midget for $2500 near Ft Myers, FL via craigslist. Tip from Dascpcu. Premium example of a crappy Craigslist ad: blurry photos taken in a garage, no interior shots, no mileage, don't understand the meaning of "parts duel car system" unless the meaning = two cars with pistols shooting at one another. In its favor, the price seems right. Had two: sold #1 while in HS, went through withdrawls, bought #2 and drove it into the ocean knee deep (high tide at night)@DaytonaBeach spring break. Pushed it out and drove off. Seems like a great price. A little bit of work would go a long way on this. Sand down the glob of bondo on the front and get color matched spray paint. I bet one could blend it good enough. 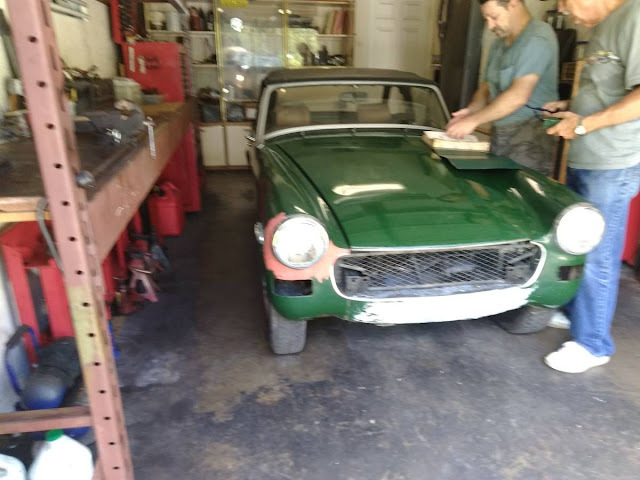 Put a Bugeye front on the Midget.....I've read people saying that it's not all that difficult to turn a Midget into a Bugeye...And that is probably what I would do ! ! ...or add an Arley SS kit. Somebody did convert it from rubber to (deleted) chrome bumpers.